Working from home with a sick Master Pyle. 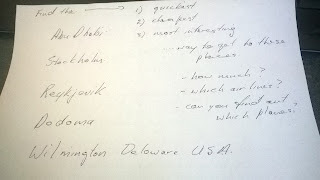 Impromptu geography and edtech session for a little fellow deeply interested in planes, airports, cities etc after a European trip earlier this year. 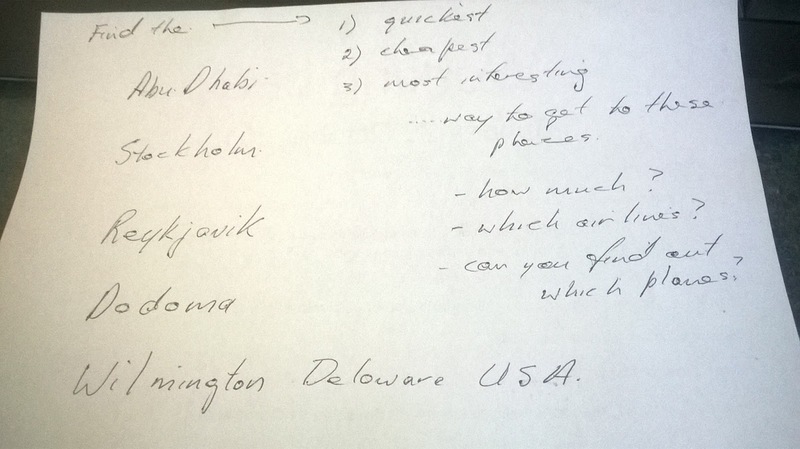 Task: Get me to Dodoma, Reykjavic, Stockholm, Wilmington Deleware etc, fastest, cheapest, most interesting etc.